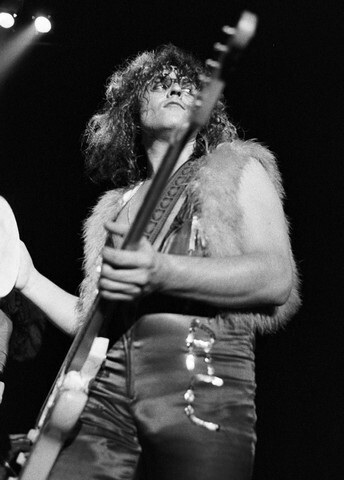 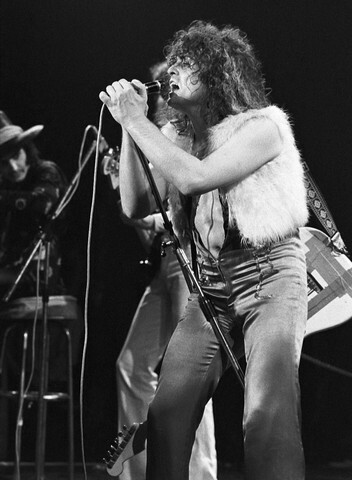 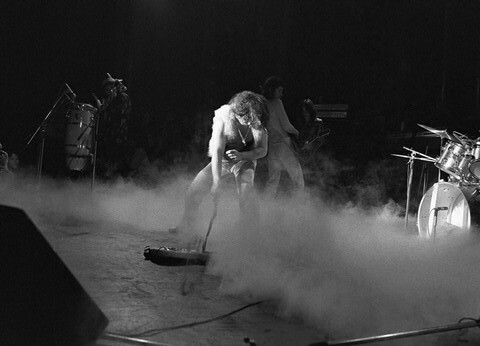 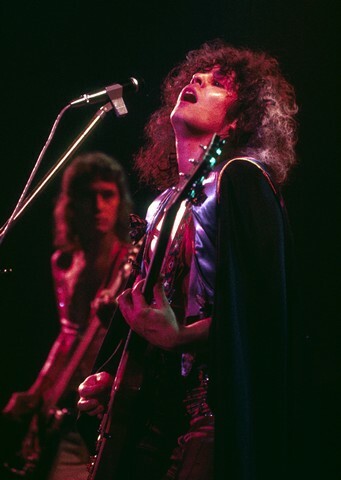 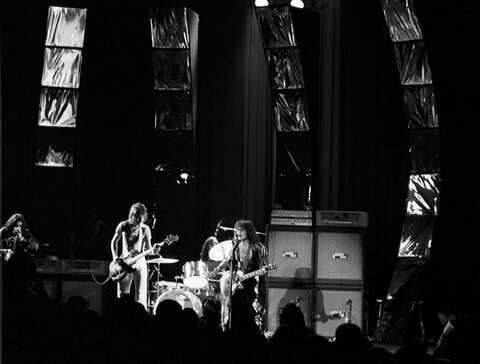 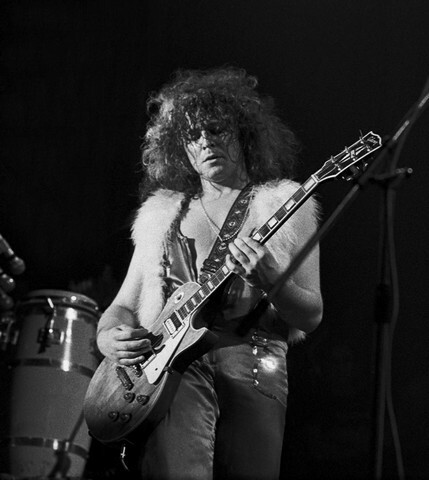 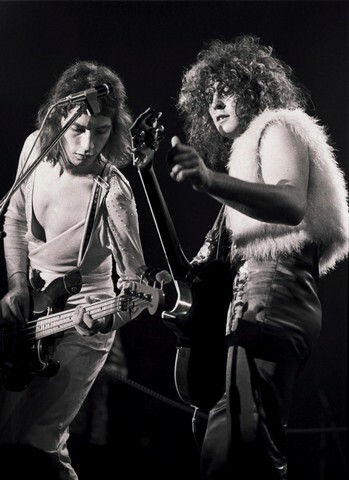 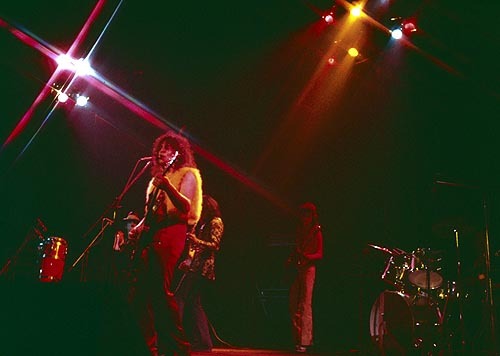 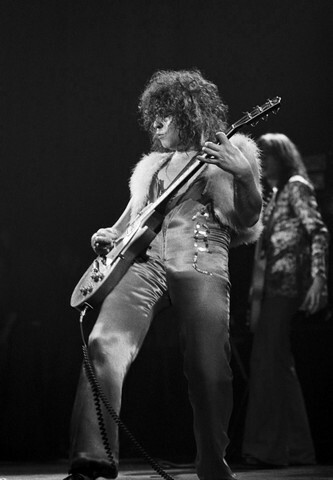 #TX527 British folk-rock combo called Tyrannosaurus Rex, T. Rex was the primary force in glam rock, thanks to the creative direction of guitarist/vocalist Marc Bolan (born Mark Feld). 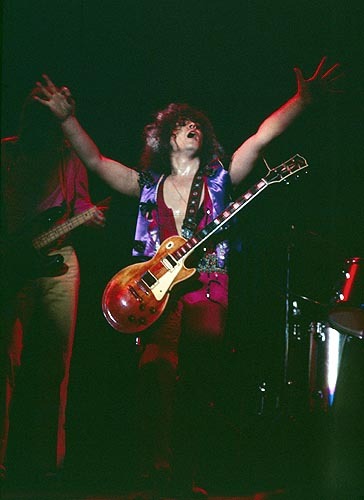 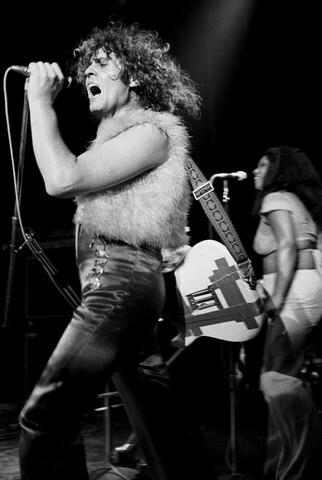 T. Rex's music borrowed the underlying sexuality of early rock & roll, adding dirty, simple grooves and fat distorted guitars, as well as an overarching folky/hippie spirituality that always came through the clearest on ballads. 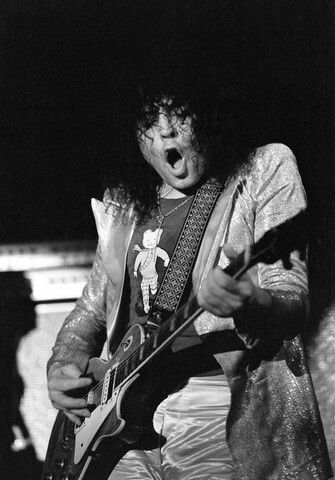 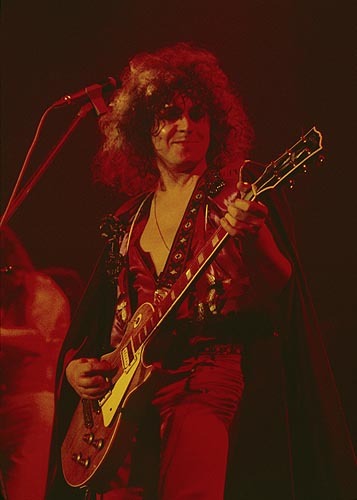 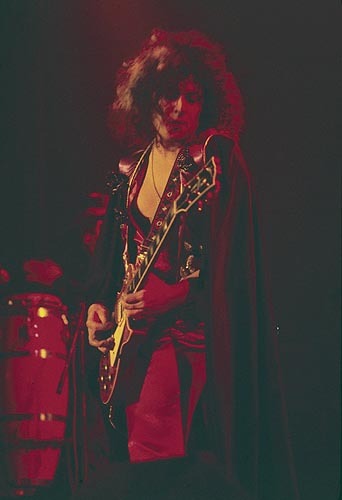 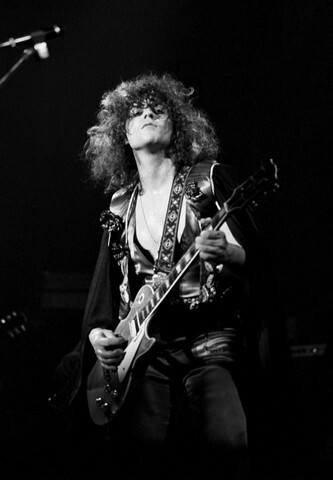 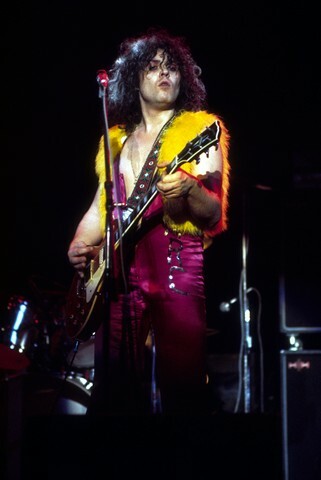 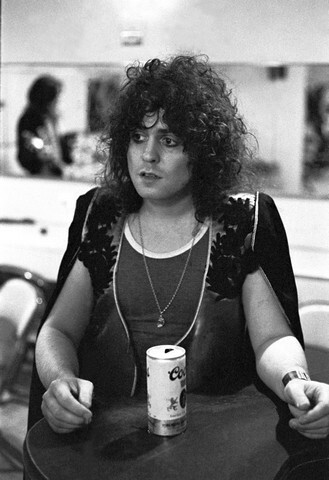 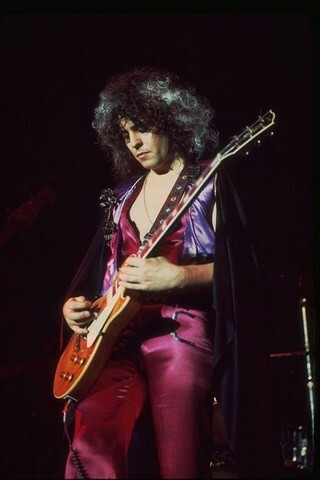 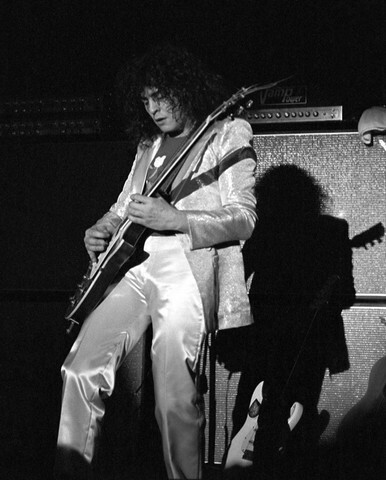 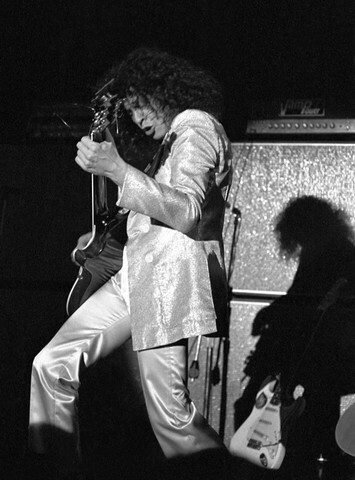 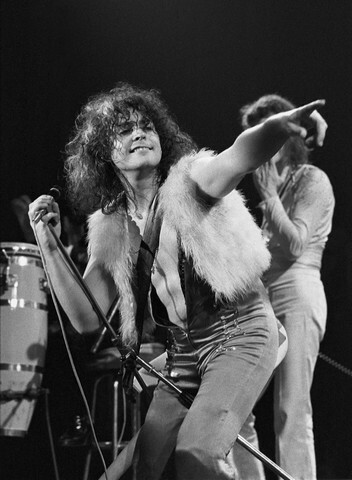 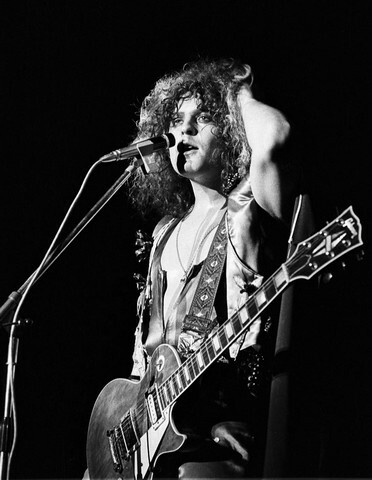 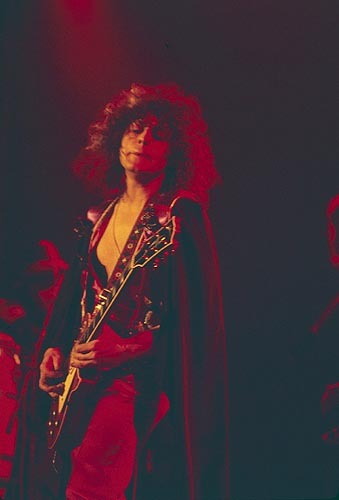 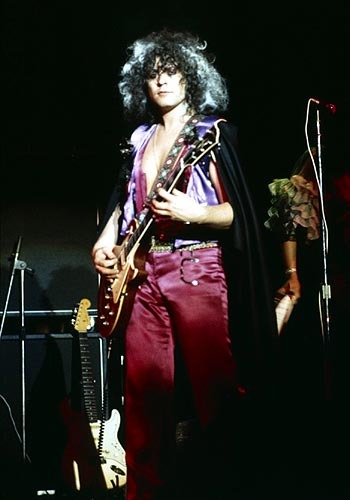 While most of his peers concentrated on making cohesive albums, Bolan kept the idea of a three-minute pop single alive in the early '70s. 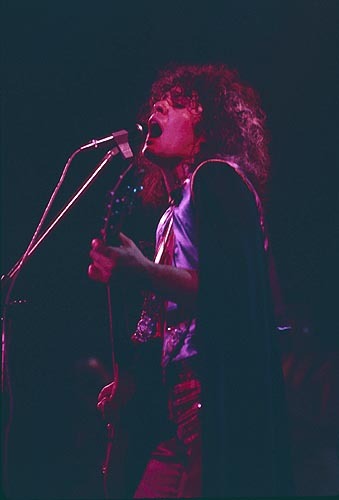 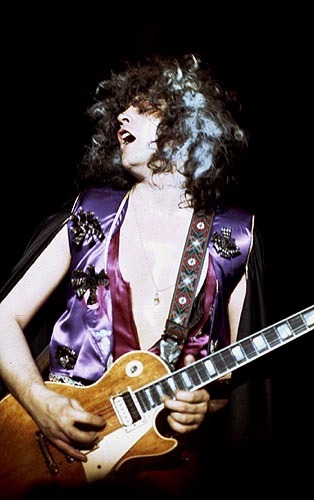 In Britain, he became a superstar, sparking a period of "T. Rextacy" among the pop audience with a series of Top Ten hits, including four number one singles. 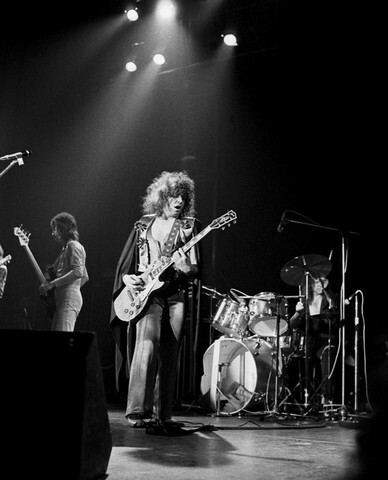 In America, the group only had one major hit -- the Top Ten "Bang a Gong (Get It On) in 1973. 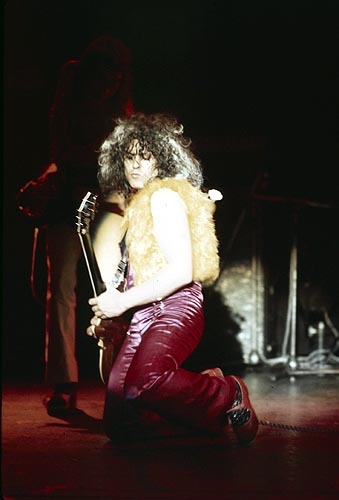 T. Rex's popularity in the U.K. didn't begin to waver until 1975, yet they retained a devoted following until Marc Bolan's death in 1977.